If you are planning to do business online, we at LEADconcept, an eCommerce web development company, can provide you E-Commerce Solutions for you to sell your products. It includes, E-Commerce Shopping Cart, Store Front, OpenSource Shopping Carts& custom E-Commerce websites, which helps you to turn visitors into customers.Our Designer team is focused on providing the user with clear messaging and strong calls-to-action to take action. User-friendly GUI with strong back-end capability to manage everything you need. Our e-commerce web development solutions cover everything you need to sell your products, track your customers, and process your transactions. All from an easy to use web-based system that can be accessed from any computer with an Internet connection. The world is getting online and so everyone wants online solution, that's where E-Commerce solution is useful for all the industries and the popularity of ecommerce websites have increased. 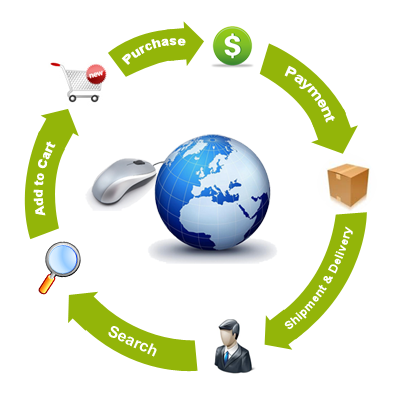 Here at LEADconcept, you will get immaculate E-commerce solutions for your online business. Our company takes complete care of all the types of E-Commerce websites and provides expert support and services in this area.